[Ed. Note: The following is a guest post from noted whistleblower Joseph Collins. Ordinarily we don’t accept guest posts. Joe wrote the following as a letter to the editor of the Wall Street Journal. When they did not publish, he asked us to publish. The opinions expressed below are Joe’s. For most reading this [post] the events surrounding the 2008 market crisis – or “disaster” as I like to call it— are distant memories. For others, those events are fresh wounds that never properly healed. The names of well-known whistleblowers still linger to some of us. Roger Boisjoly (—the Challenger disaster), Sharon Watkins (Enron), Cynthia Cooper(Worldcom), James Holzrichter(Northrup Grumman), Gary Aguirre, Bill Black, Richard Bowen, Michael Loscalso, Michael Winston and the list goes on. They are all good men and women who sacrificed their careers, livelihood, health and family to “commit the truth.” All were severely punished and all bear the scars of the retaliation. One would think that corporate managers would get the message. 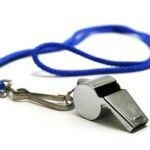 If you mess with a whistleblower you’ll pay the price. Apparently some never got the memo or, if they did, they ignored it completely. Take the case of Collins v. Ameriprise. Joe Collins, a former Series 7 licensed broker and financial advisor with 11 years of experience reported several cases of suspected violations of FINRA rules and securities laws. He reported that his company didn’t pay taxes in Texas for years. He reported that clients had been put in WRAP accounts and their funds left there for years — with the wrap fees going to branch managers. After seven years of wrangling through the FINRA Arbitration/ Mediation/ Frustration process and not one but two OSHA investigations, Collins has finally arrived at a real court before a real judge. [H]e finally found a judge at the Department of Labors’ Office of Administrative Law Judges who would listen. Let me see if I have this right- SOX covers some independent contractors – just not the ones who work for Ameriprise. Really? Ameriprise neglected to mention its own internal whistleblower retaliation policy covered it advisors who are “independent contractors.” The company also forgot to look at its franchise agreement that did not allow its advisors to hold their practice within a corporate structure. Oops. The head of the audit committee also acknowledged that the company was aware of the whistleblower complaint (for how long is unknown) and were looking into it. The U.S. has 22 whistleblower laws designed to protect whistleblowers in manufacturing, food safety, transportation, government contracts, and financial services. Each of these laws were carefully designed to “protect the whistleblower.” In reality, however, the laws don’t promote much more than crime scene investigations as the whistleblower has flat lined and the retaliators getting the “jump-start” bonuses. We, as a country, should be bigger than this.